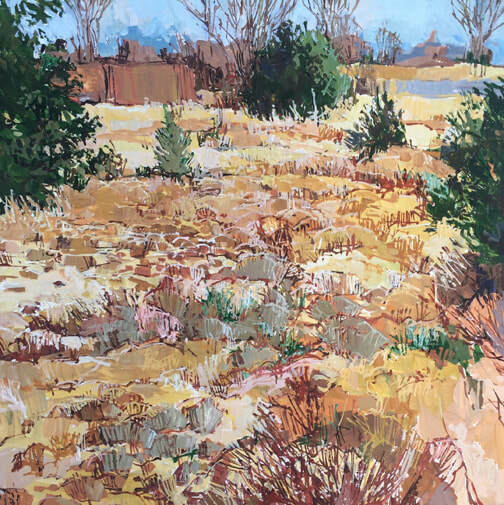 A fixture in the Santa Fe art scene since the late 1970s, Douglas Atwill paints in acrylics, usually on the primed linen canvas he prefers. 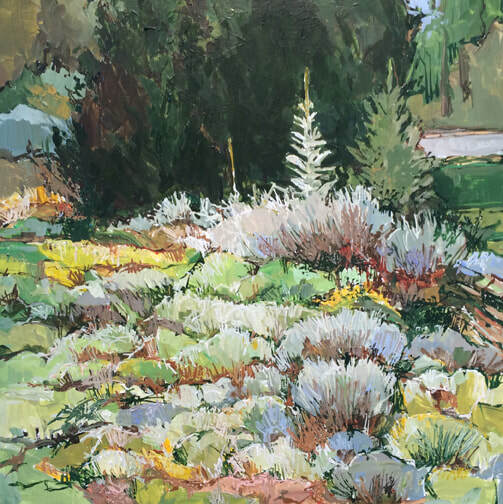 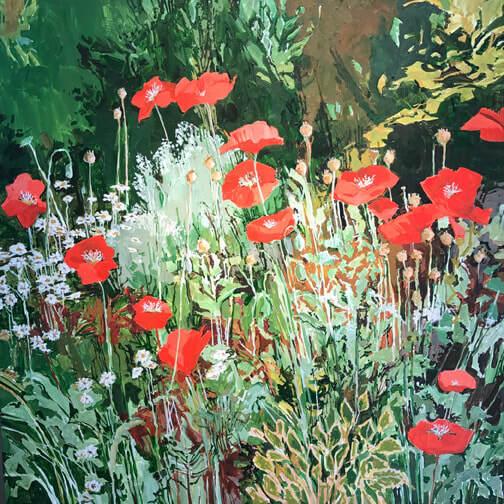 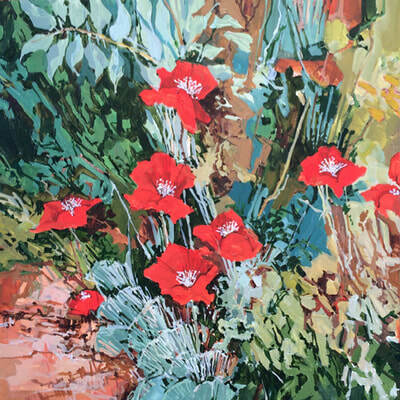 His subjects range from the New Mexico landscape of mesas, escarpments and mountain scenes to verdant corners of his own garden. Prior to joining New Concept Gallery, Douglas exhibited his work at some of Santa Fe's best-known galleries, including Blair Gallery, Gerald Peters Gallery, Munson Gallery and Meyer East. 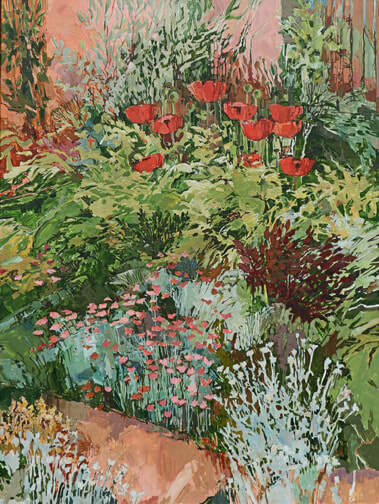 Atwill's work is widely held in numerous personal collections, and is also displayed on corporate and museum walls across the country. 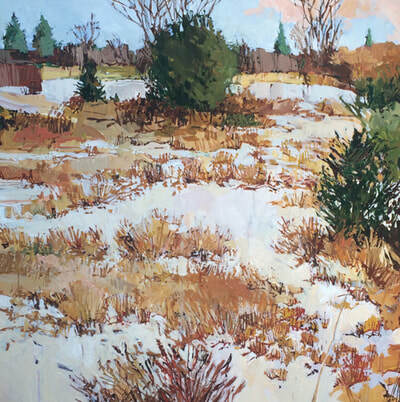 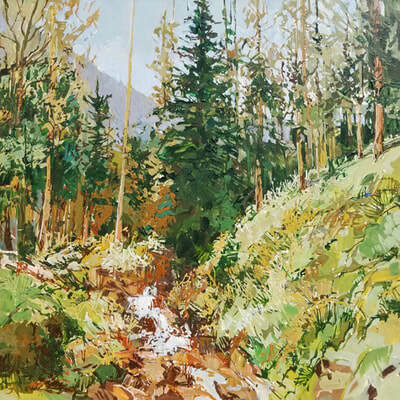 A prolific and disciplined artist, Douglas often completes fifty or more paintings each year. 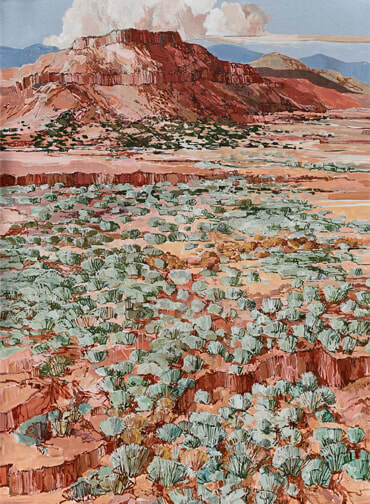 Atwill is also well known in Santa Fe for his work as a designer and builder. He is the author of a dozen books, including novels, short stories, memoirs and poetry.